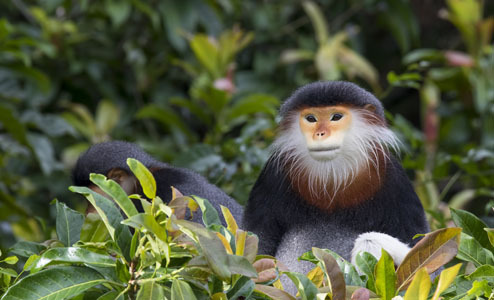 From virgin, tropical jungles to deep blue seas, Southeast Asia’s diverse landscapes offer a myriad of possibilities for the active and nature enthusiasts. 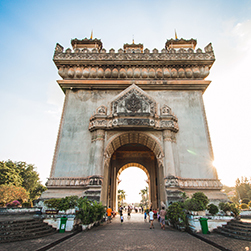 Vientiane’s flat, tree-lined roads and light traffic make it an ideal city to explore by bicycle. 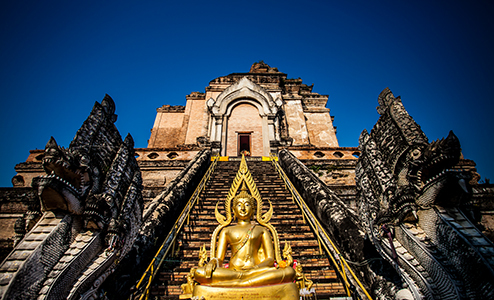 Spend a pleasant half day cycling to some of Vientiane’s most historic sites, including: Wat Sisaket, famous for its cloister wall housing thousands of tiny Buddha images; Wat Phra Keo, built in 1565 as the Lao royal family’s personal chapel with highlights including a magnificent 16th century lacquered door with Hindu carvings, numerous Khmer stone carvings and a variety of Buddha statues; the 44m (147ft) high gold-covered That Luang, Lao’s most revered monument; and the Patuxai Victory Monument, dedicated to those who fought in Laos’ struggle for independence from France. 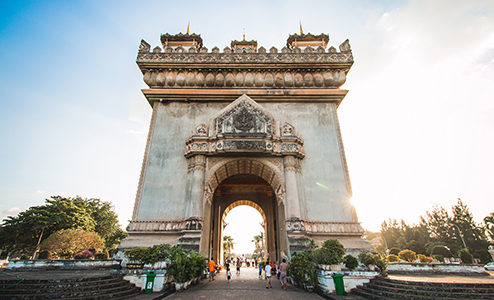 Notice its unmistakable resemblance to the Arc de Triomphe in Paris, but with Lao motifs. 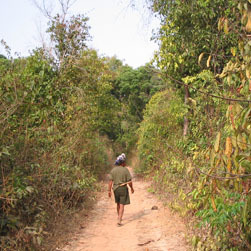 Jungle-clad Phou Asa Mountain has long been an enigma, even to seasoned archaeologists. Spend the day uncovering the secrets of this scenic mountain and its enigmatic ruins comprised of 108 stacked stone pillars, each topped by a large flat rock. Join a village guide to learn more about these mysterious pillars which some think were part of a jungle fort or perhaps an ancient Buddhist monastery to go along with the “Buddha’s footprint” carved into the rock face below. 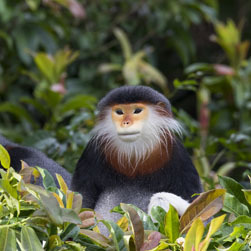 Summit the mountain for outstanding views of southern Laos. 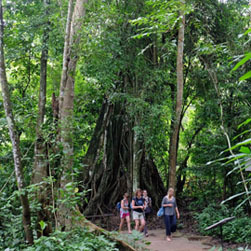 Along the way, walk along forest trails while learning how to spot signs of wildlife as well as indigenous medicinal plants. Lunch is included in this adventurous day trek. 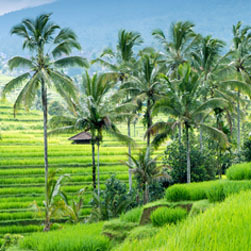 The Balinese are Indonesia’s most prolific rice growers thanks to a unique combination of soil, water and religion. 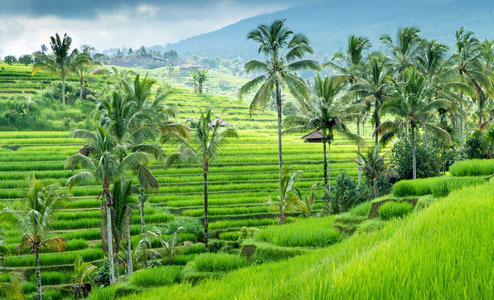 Spend a full day cycling and trekking through Bali’s lush countryside to gain insight into the history and culture of this magnificent island. 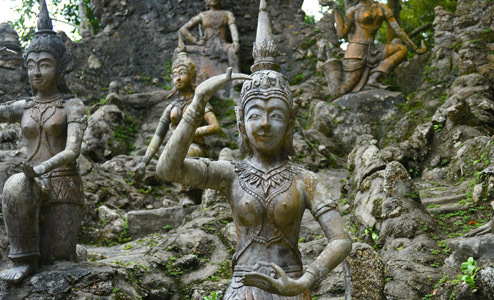 Explore the Pakerisan Valley, home to important religious sites and some of the earliest Hindu and Buddhist settlements. 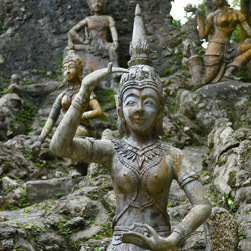 Visit Jagasari, Bali’s first Hindu temple dating back to the 8th century. 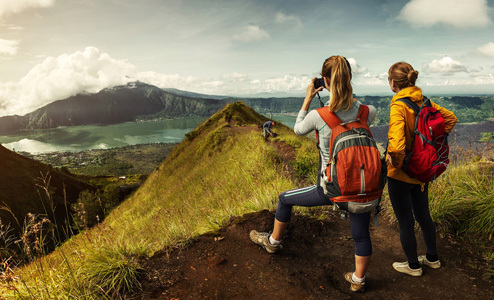 Trek through rice terraces to see how subak, an ancient irrigation system, is still practised. This fascinating cooperative social system channels water through the temples and into the rice fields. Cycle through the verdant landscape to the picturesque village of Laplapan where you will enjoy lunch right in the rice fields. Spend a leisurely half day by bike and boat exploring the villages around scenic Inle Lake, home to some 10 different ethnic groups. 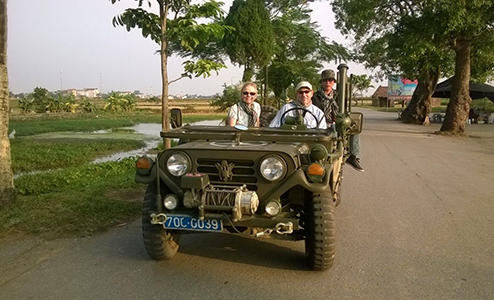 Cycle along Inle Lake’s perimeter road, taking in pastoral scenes of local life and landscapes. 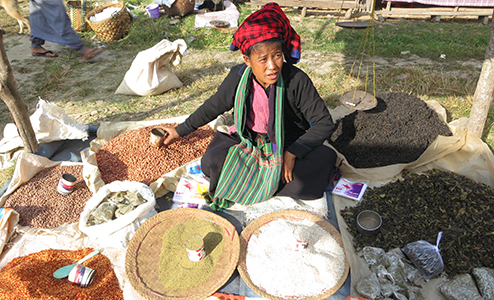 With the help of your guide, interact with the villagers at Tha Le U South and North and Ale Myaung. Also stop at Red Mountain Estate, one of two vineyards in Myanmar, for spectacular vistas back towards Nyaung Shwe and the lake beyond, a picturesque stop to enjoy a glass of locally-made wine. 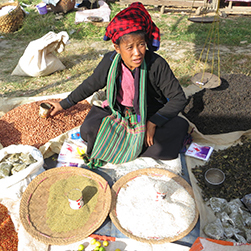 At Nam Pan Village, board a boat to visit a few craft villages including a floating workshop making cheroot (traditional Myanmar cigars) and a blacksmithery at Sae Kaung. 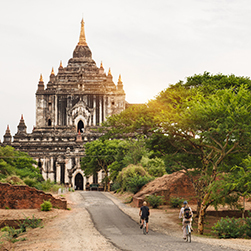 Explore rural Bagan on a half-day adventure by bike and boat. 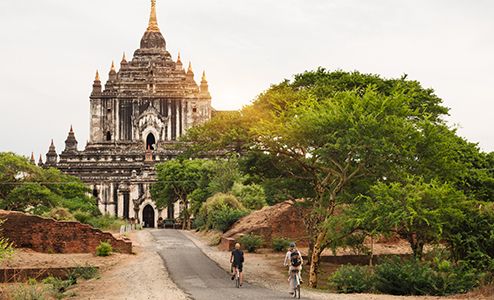 Cycle through the Bagan countryside to the 10th century Kyauk Gu U Min, said to be the entrance to an ancient tunnel leading all the way to the Pindaya caves in Shan State. Explore this atmospheric temple featuring meditation caves hewn from the rock and mural paintings from the 13th century depicting the armies of Kublai Khan. 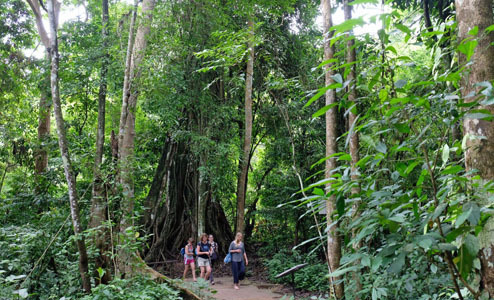 Cycle to a thanakha plantation to see how the bark from these trees are ground into a cosmetic paste used as sunblock favoured by Burmese women and children. Trade bicycle for boat and sail down the Ayeyarwady cruising past timeless scenes of river life in the soft glow of sunset. 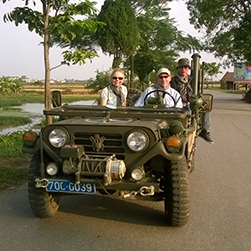 Siem Reap is known as the gateway to the magnificent ruins of Angkor Wat. 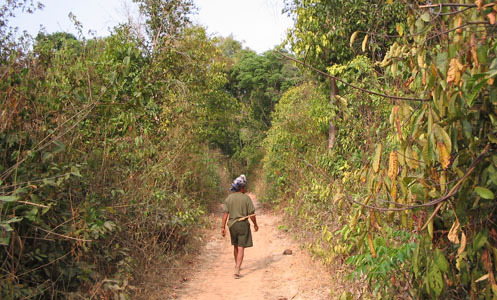 However, beyond its historic temples and lively tourist scene, Siem Reap Province is also home to almost a million people who inhabit the rural countryside, many living off the land. 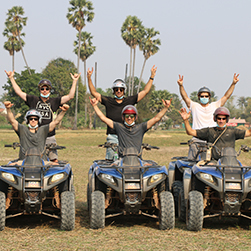 Break up your temple tours with a refreshing evening quadbike excursion of the little-seen side of Siem Reap with its emerald green rice paddies, quiet dirt roads and shy but friendly villagers. 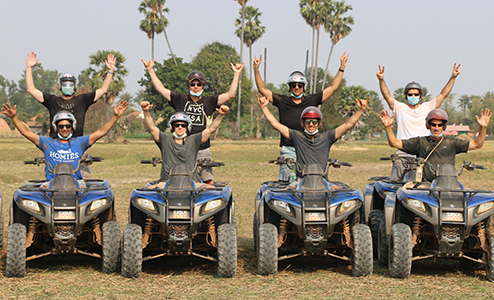 Navigate your quadbike along dusty trails past stilt houses and curious cattle, taking in the sights and sounds of rural Cambodia with a stop among the rice paddies to admire the sunset. 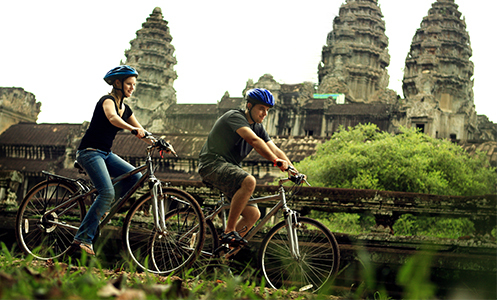 Depart for an introductory cycle to Angkor Wat, one of the modern wonders of the world. 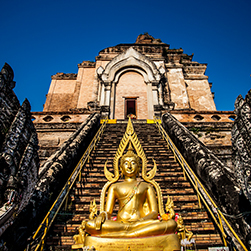 Stroll through the intricately carved hallways that still show hundreds of fine carvings of Apsara and Hindu mythology and discover small shrines still in use today by the local people. Continue cycling around the complex taking in the views of this ancient empire.